First of all, no one died. Whew, thank goodness. Second of all, I think I’ve mentioned before that I have a thing for funeral potatoes (the cheesy potatoes generally served at Mormon funerals). I am kindof obsessed with potatoes in general. Especially since I’ve been pregnant. I am craving potatoes just about every day! I have almost singlehandedly eating 15 pounds of potatoes in the last month. I know, I have a problem. 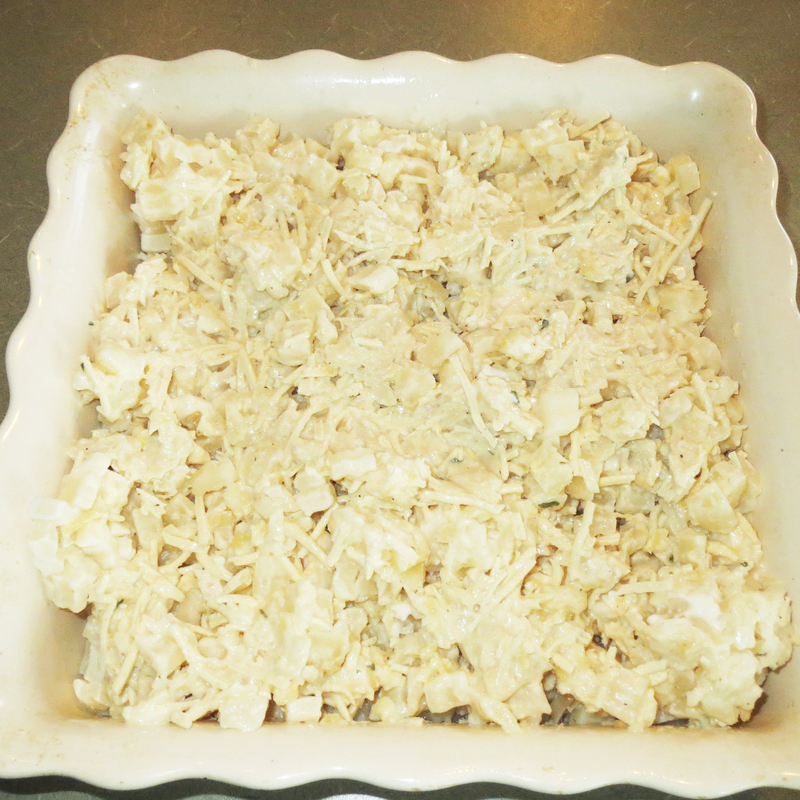 Anyhow, it’s hard to find a good funeral potatoes recipe for us gluten and dairy freers. I think I have mastered a good one and I would like to share it with you, but only if you will treat it nicely. Also, this dish is great for breakfast, lunch, or dinner and I do believe I ate it for all 3. For breakfast, we ate it paired with scrambled eggs and sausage. Yummy! Below you will see a photo of how it should look before it goes in the oven and before the Corn Flakes go on the top. Also, I should mention this recipe is naturally gluten free as well as dairy free, so it fits in with our family’s diet quite nicely. Grease a stoneware casserole dish. I used a square. You could also use a 9x13 pan. In a large bowl, mix milk, broth, sour cream, and cheese. Carefully fold in hashbrowns gently until well coated. Spoon the mixture in the prepared casserole dish. Put foil over the casserole dish and and bake for 30 minutes. Remove the foil, and bake for another 15 minutes. I broiled the casserole for 5 minutes to get a crispy coating on the top. This is optional. Enjoy! If you have any questions, please post a comment and I will try to answer as quickly as possible. I hope your family enjoys this recipe as much as my family did! 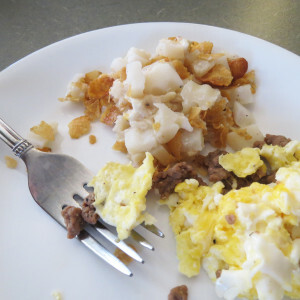 Can you use fresh potatoes instead of the prepackaged ones? Any suggestions? I tried it with fresh potatoes and it was really mushy. I think it’s much better with hashbrowns. You could try to drain fresh potatoes very well – that might help. My sister is nursing her brand new baby son and just recently found out he has a dairy allergy and therefore no dairy for her! Funeral potatoes are a HUGE Easter tradition for our family as Grandma ONLY makes us her DELICIOUS cheesy potatoes on Easter, so since out childhood we look forward to Easter for potatoes every year. So excited to find this recipe so I can make my sister her own pan of cheesy funeral potatoes and she doesn’t have to miss out! Thank you so much for sharing. Happy Easter! I would like to know how this tasted for your family. These were pretty good for being dairy free. I doctored mine up a bit by adding chopped green onions and Tofutti cream cheese for more thickness. I couldn’t find Tofutti shredded cheddar cheese, so I ended up using a combination of Vegan Gourmet fiesta blend shreds (pepperjack and cheddar flavor) and Go Veggie cheddar shreds. It turned out pretty good in the end. Thank you for this recipe. We have made it so many times. Our only change is using plain almond milk yogurt instead of sour cream since our store doesn’t have dairy free sour cream. how many hashbrowns? 2 lb bag? 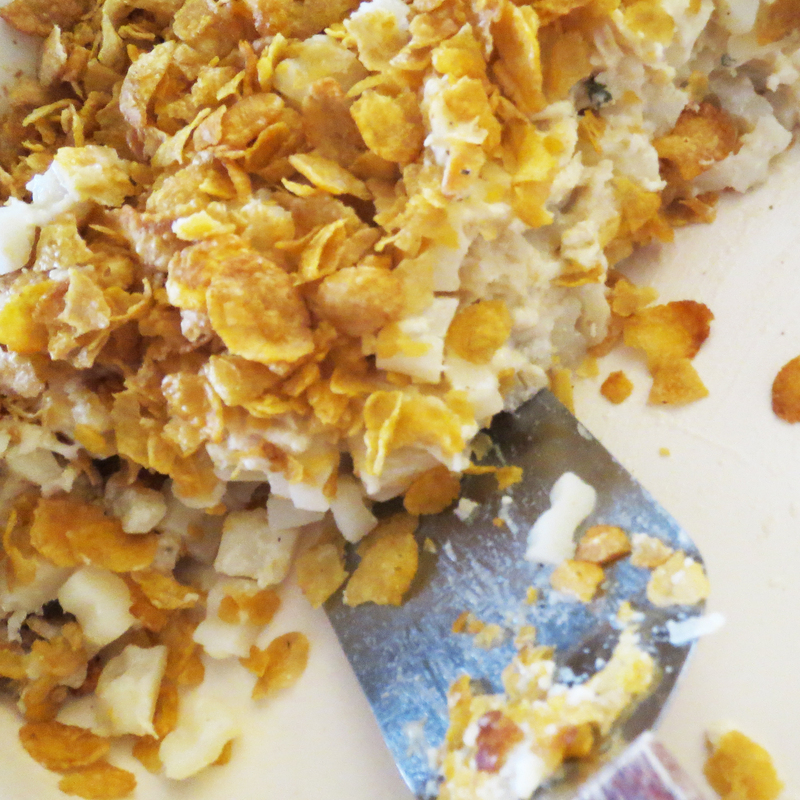 Do you know if this is good to make ahead and freeze (minus the corn flakes)? Hello Tara – Good question. I think if you froze this dish, the fats might separate a bit, but it will still taste good. I haven’t personally tried. Let us know how it goes! Just make sure your corn flakes are gluten-free too, if you really need that (I have celiac, so I do). Yes, for sure! Thanks for the tip Sasha. Thank you for this!! With the holidays coming up I was stressing how I’d survive without funeral potatoes and you saved me 🙂 excited to try your recipe! Thanks for sharing!! !